NUO Hotel Beijing, Meeting Best - Biggest meeting management technology company in China with best meeting solution. 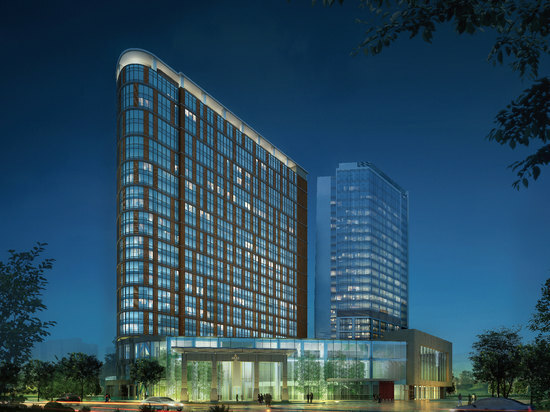 NUO Hotel Beijing is an art themed hotel, located in the heart of Chaoyang District, close to Beijing’s 798 Art Zone and the Wangjing Business District. It is just 18 km (11 mi) from Beijing Capital Airport and around 16 km (10 mi) to Beijing North Railway Station. This Beijing hotel features a host of different restaurants, with both Chinese and Western cuisine available. The Ming Dynasty style tea pavilion showcases the finest in Chinese tea culture while the various bars are great places to relax. For those organizing events the hotel has a significant amount of event space including meeting rooms and one of the largest ballrooms in China. The business center is also available for those traveling on business. Guests at this Beijing hotel can enjoy free in-room Wi-Fi access. To keep in shape, an indoor swimming pool and fitness center is available, while the spa and sauna facilities are great for those looking to indulge.